In a match of the third round of the Ukraine U19 league, Shakhtar beat Hoverla. In the first two opening rounds Hoverla failed to claim points, whereas Serhiy Kovalyov’s charges got a big win over Illichivets, and lost in Oleksandriya to a local club. In the first half the Pitmen tried to carve the opposition defence open, with Hoverla looking to hit the Pitmen on the break. On 27 minutes, Vladislav Bugay was brought down in the opposition penalty area, but the referee waved play on. On the stroke of half time, Igor Sukhaninskiy made a slalom run but his shot goals went straight into goalkeeper’s arms. After the half time break, Shakhtar started playing more energetically on flanks, and it immediately brought fruit. After a cross from the right Sukhaninskiy fired the ball in from a close range. After five minutes an Arthur Avagimyan cross from the right flank led to the second goal: Bugay won the areal challenge against goalkeeper and defender, and Yevhen Prodanov, who came on as a sub, got on the rebound to make it 2-0. The Pitmen started playing more freely, creating a number of goal scoring opportunities. On 83 minutes, the Pitmen netted a very beautiful goal: following an Avagimyan cross from the corner, defender Ivan Semenikhin fired the ball into the roof of the net to make it 3-0. 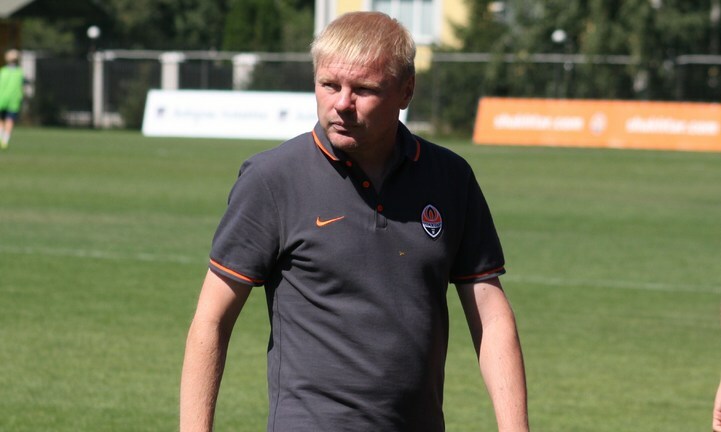 Thus, Shakhtar U19 got their second win in the season, claiming six points. As part of Matchday 4, Shakhtar will play their next game away on 26 August. The Pitmen will face their peers from Dynamo Kyiv. - Unfortunately, everything is repeated: in the first half, the players failed to find the rhythm, making simple errors and working slowly with the ball, which made impossible for us to carve open the opposition defence. During the break, we made some changes, asking the boys to step up the game on the flanks, and the goals immediately came. We are also pleased with the way we put pressure on opponents’ half after the loss of the ball. We don’t usually tend to single out anyone, but today I would highlight Arthur Avagimyan, who rallied the team in a difficult moment, thereby managing to turn the tide of the match. We still have to work on the quality of the game. We tell the players: you put on a Shakhtar shirt, then you have to do your best in the match, and in training you have to give your all. If it doesn’t happen, we will have to draw conclusions... We will play the next game we with Dynamo. It is necessary to do a lot of work – physically, tactically, psychologically. Once again we analyse our mistakes, examine Dynamo’s game. We constantly tell the boys that without avoiding errors there will not be sports growth. Only one thing - work hard. - I am glad that I managed to take part in all three combinations that led to goals! Actually, I'm a striker, and had to perform supporting duties, with players also making themselves available. Before, I did not take corners, but in the last match a team-mate scored after my delivery, and the coach told me to continue and I scored again. We failed to follow the coaching instructions in the match versus Hoverla in the first half of the match, and we usually ‘wake up’ only after the break. I do not know the reason. In any case, we have to work. Hopefully, before the start of the UEFA Youth League, the team will be able to step up their performance. Kids born in 1998 have just joined the team, and there is still some misunderstanding on the field. Over time, I think, everything will pan out. - Such a goal that I have scored today can be netted either in training session or in the children's football. By the way, this is my first game for Shakhtar! I am the team newcomer, and in the first two matches I was left on the subs’ bench. I agree that in the first half things did not work out, a lot of mistakes were made, we could not streamline our game upfront. The same happened in the game with Hoverla. Excessive nervousness? No, I think the problem was with the mood. At the moment we do not think about the UEFA Youth League, but we will have special motivation for the game with Dynamo. For me, a Kharkiv-born player, this is also a very important match!